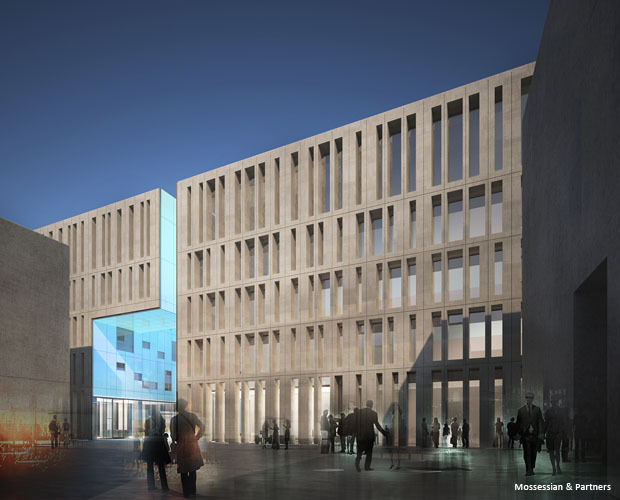 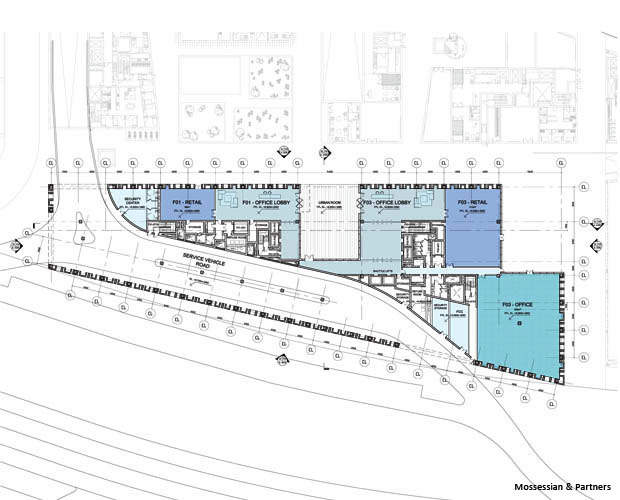 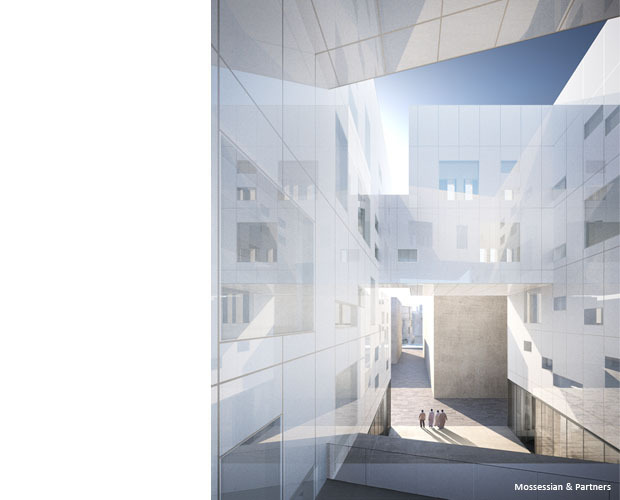 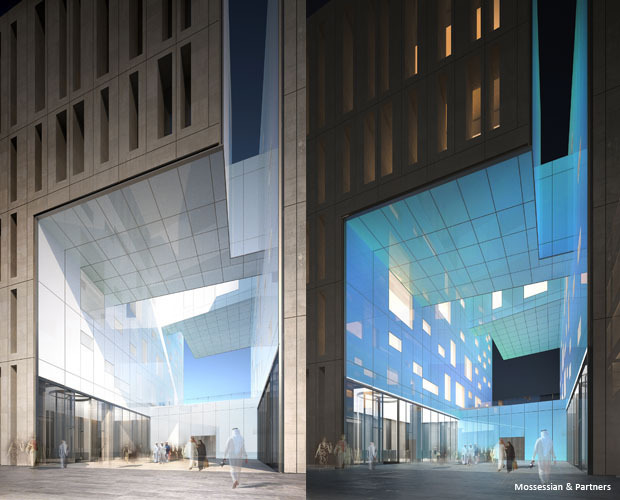 Located on the western edge of the Msheireb Downtown Doha Masterplan, this heavily constrained site presented a unique challenge, resulting in a striking architectural expression. 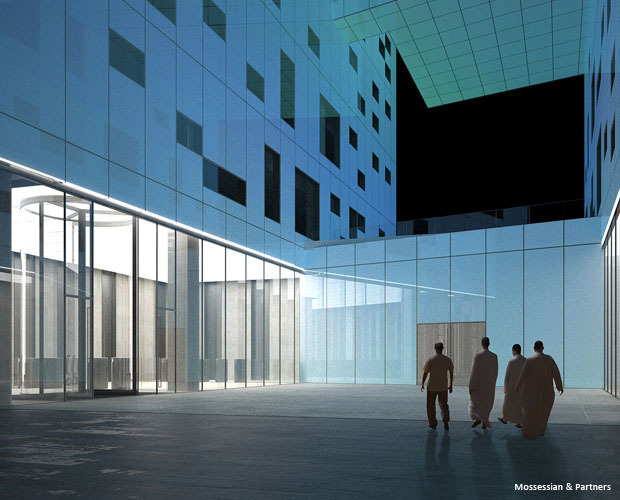 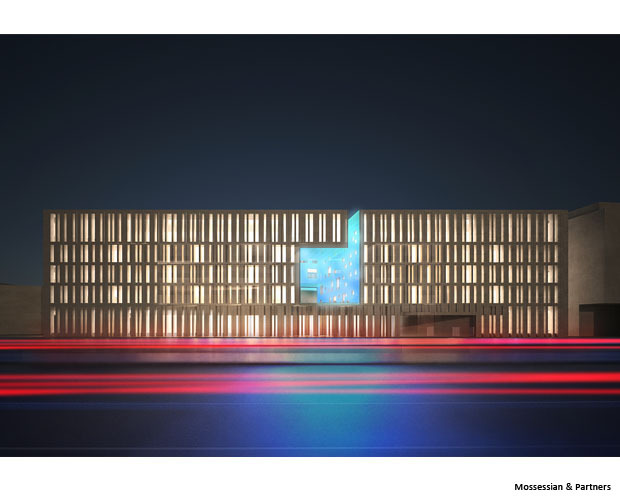 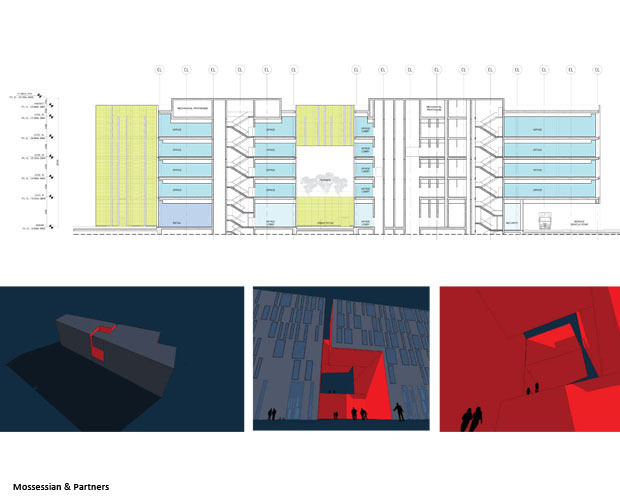 The primary obstacle for this office building was the lack of address which lead to the design of a beacon, in the form of a dramatic, glowing, sculpted void – a vertical majlis. 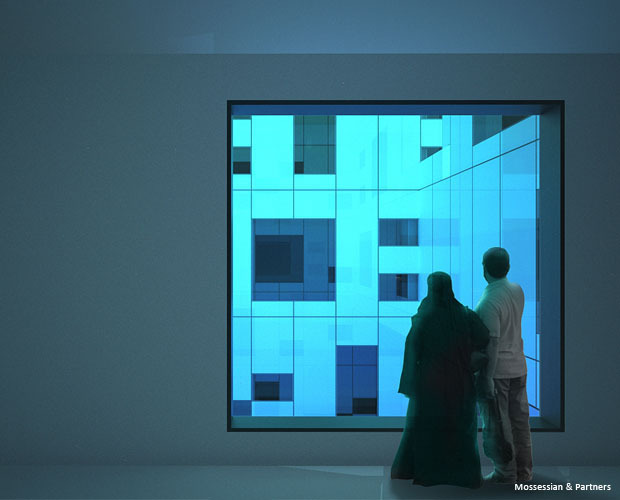 The majlis is characterised by two extensive cantilevered sections that create a tension and drama as they touch together with slim bridges on opposite floors to support each other. 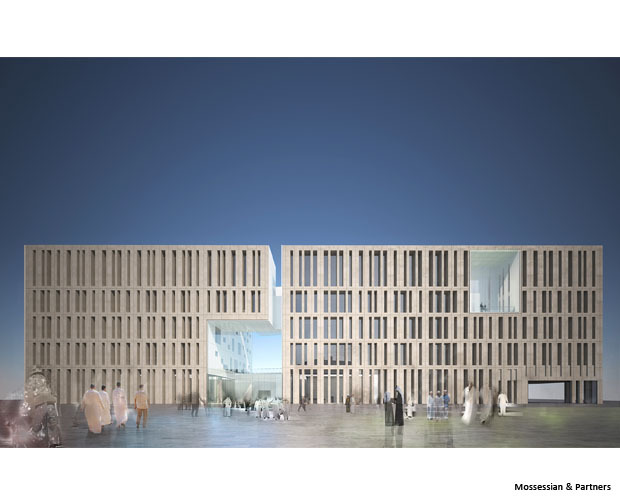 The majlis serves as the governing feature that defines the entry sequence, spatial planning and leasing options for the development. 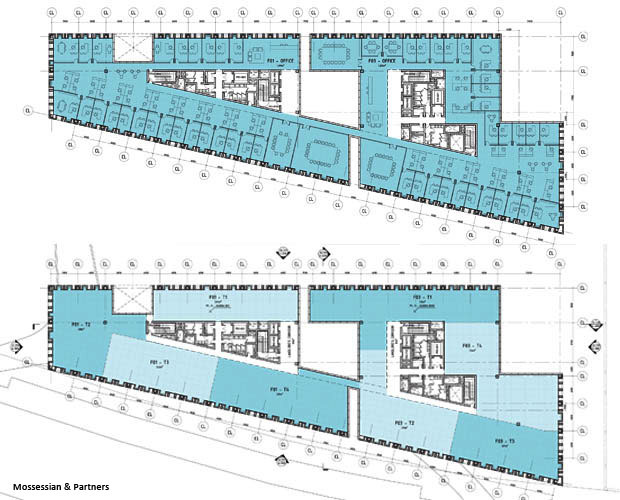 Operating as either one or two buildings, the floor plates can be divided into 8 tenants, achieving the level of the flexibility desirable for this speculative market. 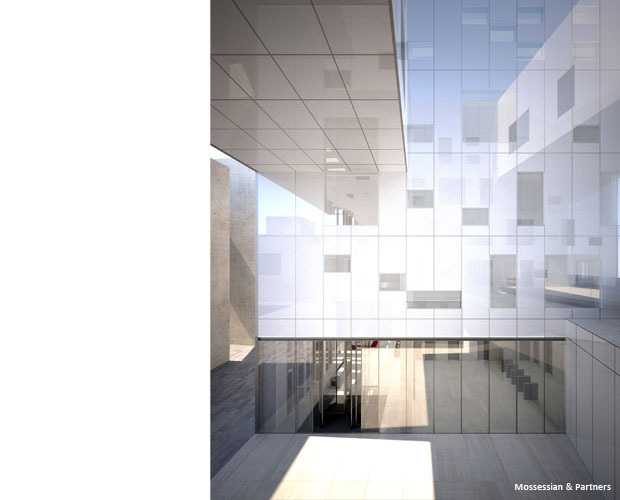 Deep east and west facades are designed to compensate for the north-south orientation of the long slim site and are animated by a play of three different opening sizes set within a standard 1.5m exterior wall module. 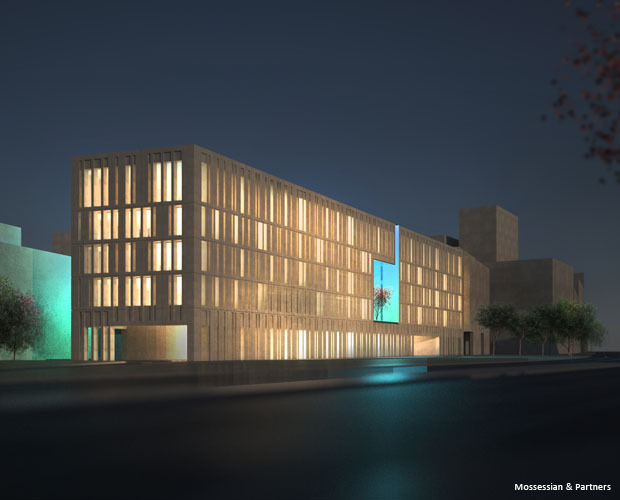 Designed to attain LEED Gold the building utilises high thermal mass, solar energy, self-shading and the strategic location of exterior wall types to offset the issues of site orientation.